The Climate Museum presents Climate Speaks, a citywide youth spoken word competition and training program dedicated to themes of climate change and social justice. Students will engage with climate issues through spoken word at workshops in March and April. They will then submit original poems to be selected for the semi-final round. Semi-finalists will receive performance training and mentoring before performing their pieces for judges. Finalists will take the stage in June for a live performance. Learn more at climatespeaks.org. Morien Rees (Varanger Museum, Oslo, Norway) is leading the International Council of Museums Working Group on Sustainability, composed of museum professionals around the world who have been actively committed to addressing issues of sustainability in the museum and cultural heritage sectors. The working group is focusing on how to mainstream the Sustainable Development Goals (SDGs) included in the 2030 Agenda for Sustainable Development and the Paris Agreement on Climate Change across its range of activities. The Working Group will be guided by the three related moral imperatives: satisfying human needs, ensuring social justice and respecting environmental limits.The Working Group’s mandate also includes supporting ICOM members and their member museums to contribute constructively in upholding the SDGs and towards climate change adaptation and mitigation. The Working Group is expected to deliver its recommendations in 2019, at the 25th ICOM Triennial Conference which will take place in Kyoto, Japan. Education in all its forms plays a crucial role, globally and locally, in engaging and empowering people to act to alleviate the impacts of the climate change. Even though education is a key element which can be deployed in fostering climate change mitigation and adaptation efforts, there is a paucity of events where a special focus to education is given. In order to fill in this gap, the International Symposium on Climate Change and the Role of Education is being organised by Bishop Grosseteste University (UK), the Hamburg University of Applied Sciences (Germany) and the International Climate Change Information Programme. This symposium is aimed at those working in, or concerned with, education and climate change. It provides an opportunity to showcase projects, approaches and activities that investigate or utilise education as a means to mitigate or adapt to climate change. The conference also highlights the pedagogical approach museums and galleries utilize in discussing science, which arguably happens more than in classrooms. Sarah Sutton, a climate change and sustainability consultant to museums and other public institutions, has contributed to 'Museum 2040' with her take on the future of Museums in relation to climate change and sustainability by exploring her own greatest frustration, and greatest hope on the issue. Read the full article at the American Alliance of Museums below. "How I Rewrote the Future of the Anthropocene"
Video of Workshop: Museums Collaborating around Climate Change. Australian Museum, Sydney, 20 July 2017. 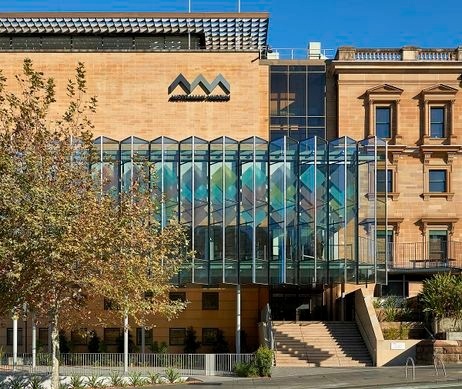 The aim of the July 2017 workshop at the Australian Museum is to establish effective ways for museums around the world to collaborate on engaging hearts and minds, creating climate-active citizens, and influencing policy around climate change. Museums and Climate Change Network members were invited. This was a participatory, roll-your-sleeves-up workshop. The day had plenty of time for small group work directed at sharing and growing ideas and establishing clear steps forward. Numbers were kept low to keep the discussion moving. There were presentations from several local and international speakers, including Miranda Massie, Director of The Climate Museum, New York. Jay Sterling Gregg, a senior researcher and lecturer at the Technical University of Denmark in the Climate Change and Sustainable Development program, created Climagination as a platform for engaging people in the climate issue by inspiring them to get in touch with their imagination and creativity. The ultimate goal is to create a climate museum in Copenhagen. How Should We Feel About Climate Change? Diary of a climate scientist. Where do emotions fit into the work of scientists who study climate, asks Sarah Perkins? Miranda Massie, executive director of the Climate Museum Project was awarded a five-year provisional charter in 2017 to create a climate change museum in New York City. In this public talk, David Garneau discusses the exhibition, the artists and the art work, curatorial research, community engagement and other issues with a mind to develop strategies for Indigenous/settler creative conciliation Canada and Australia.